Fall and Winter are special seasons at the Yosemite Forest Lodge. The crowds of Summer thin out and life takes on a more relaxed pace. 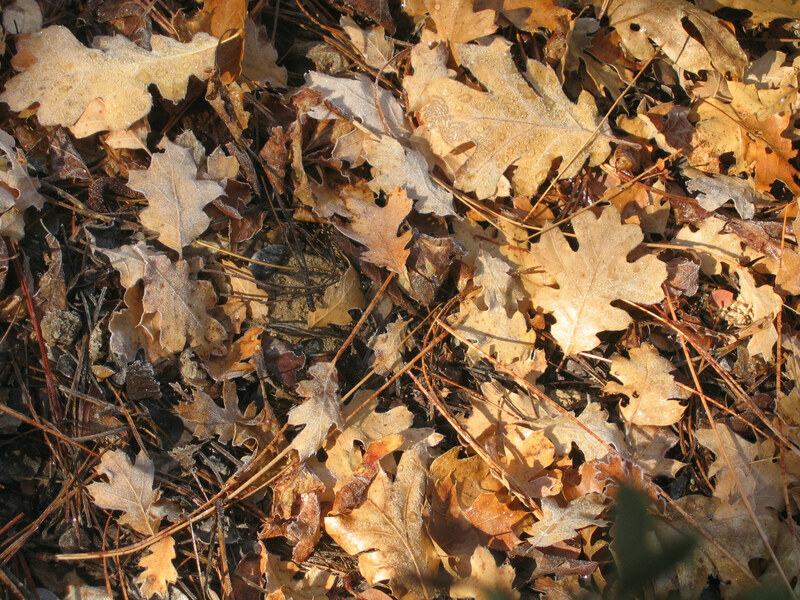 Fall colors in the Yosemite area have an unforgettable beauty all their own. And there is perhaps nothing more peaceful than watching low clouds drift through the trees after a gentle rain, or listening to the muffled sounds of the forest after a fresh snowfall. 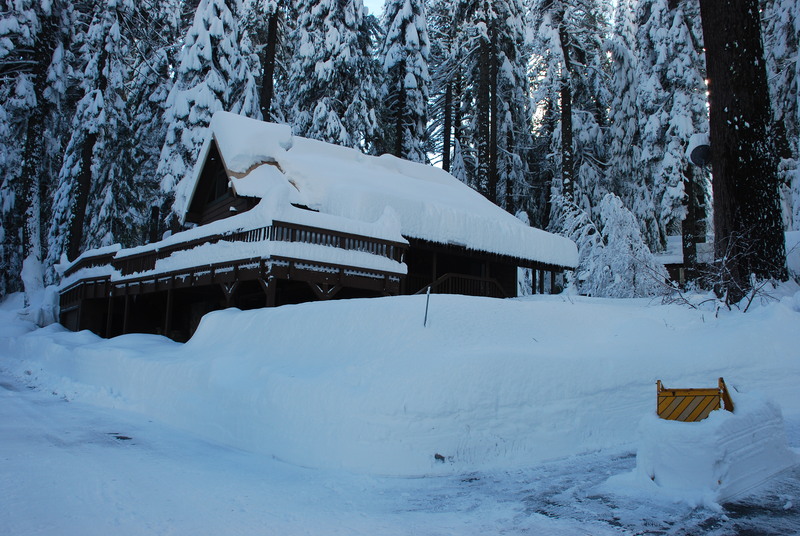 The Yosemite Forest Lodge can be a wonderful place to stay during winter weather, but it is not for everyone. We are located in a fairly remote mountain area. Nothing is guaranteed up here, and only you are responsible for your own safety. Pipes can freeze during very cold spells. Power outages do occur, sometimes for extended periods. Fortunately we are always eager to help you, and usually only a phone call away. If conditions really do become unbearable the Narrow Gauge Inn or the Tenaya Lodge can usually provide assistance during such emergencies. The microclimate in the area around Fish Camp creates conditions favorable for snow. Snowfalls in Fish Camp are often deeper than other locations just minutes away. The snow also persists in the forest shadows, even when the air temperature is well above freezing. Don't be surprised if you find melting snow drifts lingering well into May! 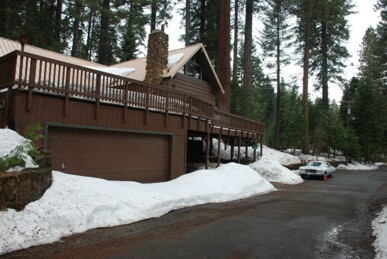 The Yosemite Forest Lodge itself is located down a narrow road just off of Highway 41. 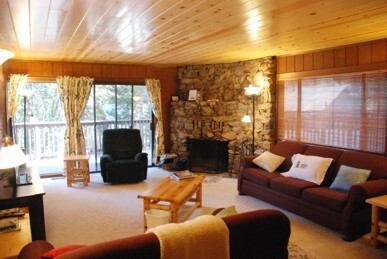 We share the road with other vacation homes as well as permanent residents. After snowstorms, ice and snow can make the road slippery and even impassable until it has been plowed by the county road crews (usually the same day). You may also have to shovel some snow before you can leave the house. If you are not willing or able to accept these possibilities, then please do not plan to stay at our house during the winter months. 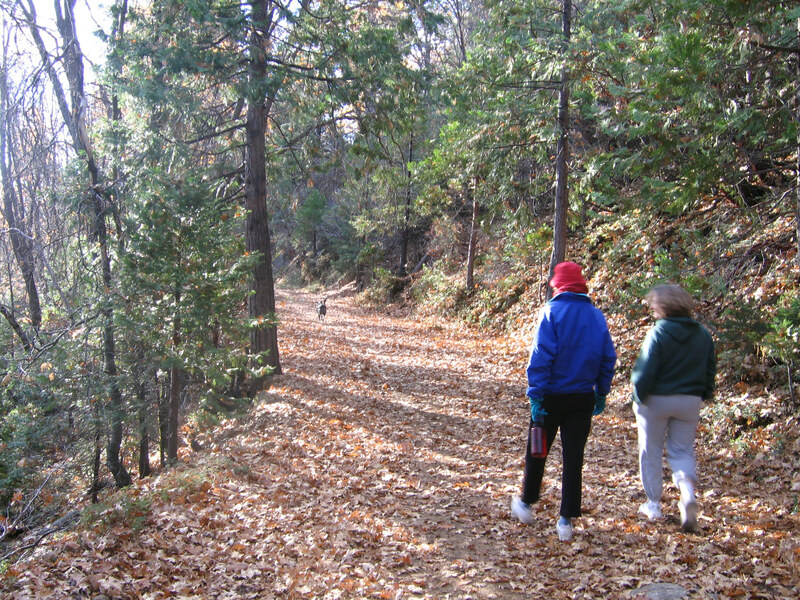 Late spring, summer or early fall are better options for you. On the other hand, if you are willing to accept the potential inconveniences of a Winter stay at the Yosemite Forest Lodge, you will not be disappointed. The location is convenient, the forest is beautiful, and the accommodations are just about as comfortable as you could ask for. This is traditional mountain living at its best! Covered entrance and porch areas let you go to and from your car without getting wet. 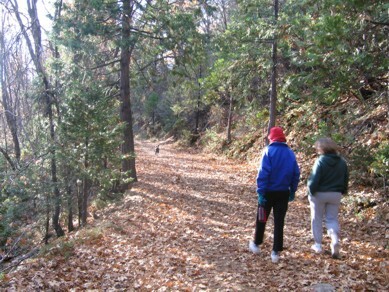 Yosemite National Park is just 5 minutes away as well. You can walk to the Tenaya Lodge for ice skating and sleigh rides (check their schedules).